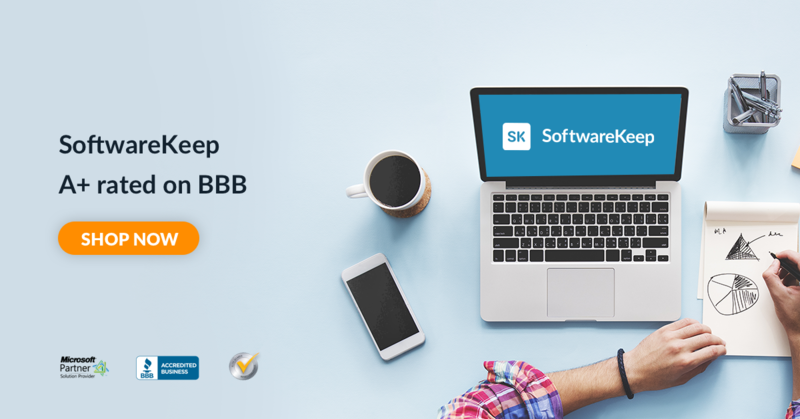 As Microsoft released Teams as Skype for Business replacement it was also right to say that Microsoft Teams must have the useful features of Skype for Business. 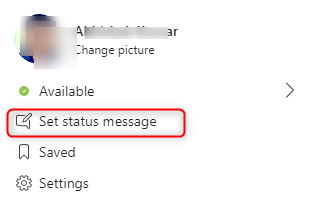 Since the feature of setting up custom status messages was available in Skype for Business, it was long awaited in Microsoft Teams but it is here finally. Now, Teams users can set their own status messages to inform colleagues about their status for the next few hours, days or on a continuing basis. This status is different from the user’s presence status (Available, Away, Be right back, etc). In this status message you, an add up to 280 characters and can provide more detailed information. To set the status, hover over your profile picture at the top right-hand corner and select Set status message. You can mention your status message and then you can select till when you want to display the status messages to your colleagues. 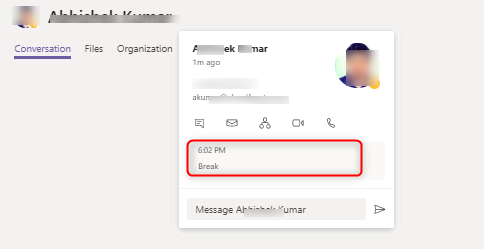 Guest users can also set the status message in Microsoft Teams. For viewing the status message on Teams, you can view the users’ card. You can also view each users’ card from the Manage team option of a Team so that you can see the whole members and then hover over each member. In the below image, you can see I have set my status message as ‘break’ and when one of the users viewed my people card, status is reflected. I have led several Office 365 implementation projects from scratch like from migrating emails to Office 365 to implementing various features of Office 365 to creating policies. when it comes to choosing the Office 365 subscriptions, I have seen that many of the organizations go with Office 365 Business Premium or Office 365 Business Essential subscriptions as both of this subscriptions are almost identical, the only difference is Office 365 Business Essential doesn't contain Microsoft Office applications. In the below table you can find the list of features available with Office 365 Business Premium & Business Essential subscriptions. In this article I am not actually highlighting the difference, I am just trying to provide the list of features available in these two subscriptions. I have also mentioned the Security & Compliance features which I have seen that most of the organizations don't actually use much but are very beneficial and I always try to convince my clients to use all these features. Apart from these features, Microsoft also offers other services with these subscriptions. MS Teams – Platform that combines workplace chat, meetings, collaborate on files and especially the guest access feature in Teams is awesome. Exchange Online – Exchange for email services, also there is a lot you can do with Exchange Admin Center. SharePoint Online – Document Management & Real-time Collaboration with attractive modern sites, document versioning, web parts & lot more. Hope this article helps you to easily find out the list of all features so that you can implement the same when you purchase any of the subscriptions and keep your organization secure.